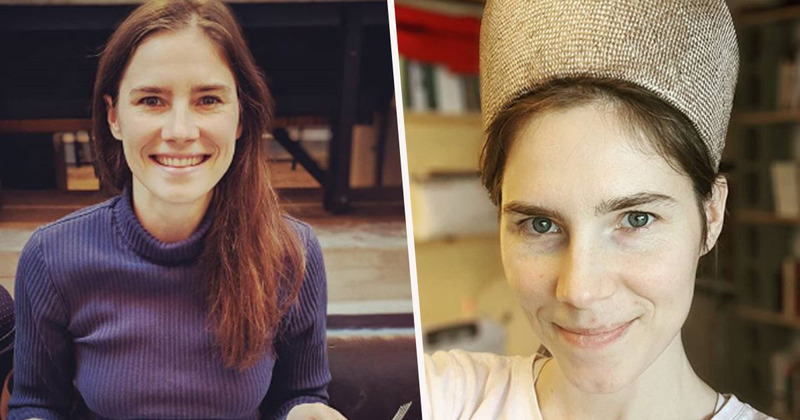 This week Amanda Knox made a joke about murder on Instagram, and it did not go down well. Knox spent four years in an Italian prison after being convicted for the 2007 murder of British student Meredith Kercher. She was later definitively acquitted by Italy’s Supreme Court in 2015, annulling all of the convictions. Two days ago (February 25), Knox shared several photos of herself, dressed up as a Victorian countess, at a murder mystery party with friends on Instagram. In the caption, the 31-year-old explained how her character has been accused of stabbing and poisoning the owner of an expensive painting. She joked about how she had once again been falsely portrayed as a killer, adding her countess had been acquitted in four hours, describing that as being better than ‘four years’. Victorian London: A priceless painting goes missing and the owner is found both poisoned and stabbed. And would you believe it, I, the Countess of Lovelace, am accused. Also acquitted, all in 4 hours. Better than 4 years. The joke divided those in the comments section on Instagram, as some applauded Knox’s ‘creative’ sense of humour, while others found it insensitive. Bravo. I’ve always been glad you were acquitted. Keep your sense of humour. Some of y’all are way too sensitive. So what she can’t joke about what she went through? She is a survivor. I applaud her ability to move beyond her trauma and false imprisonment and find the humour in it. Mr. Fats has a new weight loss plan: iron me flat! While these people were supportive, others criticised Knox for making a reference to the murder of Kercher in the joke. I believe you are innocent of the murder of Meredith Kercher, Amanda, but really, this post is ridiculously tone deaf. Surely, you must have expected some backlash? One Instagram user said ‘you have no shame’, with another commenting ‘anything for attention’. I'm in the hat making zone!! Kercher’s body was discovered by police in the Italian flat she shared with Knox in 2007. She had been sexually assaulted, and her throat had been slashed. In 2009, Knox and her boyfriend at the time, Raffaele Sollecito, were convicted of the murder and sexual assault. Both were definitively exonerated in 2015, with Knox becoming an author, an activist, and a journalist afterwards. She now closely works with the Innocence Project, a nonprofit legal aid organisation that helps exonerate wrongly convicted people.